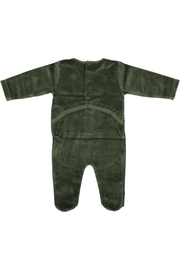 Green velour stretchy with smily face applicate. snap open back. and brand logo stitched in tone on tone.